HMS Victoria was launched at Elswick shipyard in 1887, and named in honour of the Queen’s golden jubilee. Victoria was the first war vessel to be built, fitted out and armed by one company. This hydraulic crane was Armstrong’s first commercial success. It was based on the principle that the pressure of water in a pipe can create a force that is powerful enough to move machinery. Armstrong was ‘the inventor of modern artillery’ said The Times on his death in 1900. It all began with the Armstrong No. 1 Gun, a light field gun developed after the Crimean War (1854–56), where the British army was still using old-fashioned and heavy canon. Baikal was an ice-breaking ferry built at the Armstrong Mitchell yard at Low Walker to carry carriages across Lake Baikal in Siberia. The vessel was constructed in Newcastle and then dismantled for transportation. ‘Built like a battleship’ was how this car was described. Within a few years of its first appearance in 1906, the Armstrong Whitworth car had established itself as one of the leading makes. The Armstrong Whitworth brand became Armstrong Siddeley in 1919, when production moved to Coventry. 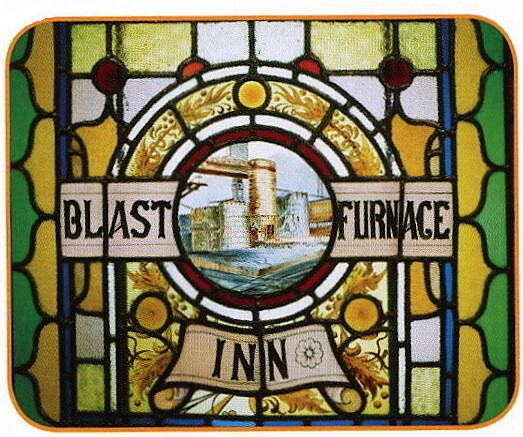 A stained-glass window from the Blast Furnace Inn (above) is among the highlights of the Armstrong Trail at Discovery, a flagship science and technology museum in Newcastle upon Tyne. The Blast Furnace – whose name recalls the iron-smelting furnaces that were such a prominent part of Armstrong's Elswick Works – was one of more than 40 public houses along the Scotswood Road during the heyday of Elswick in the late 19th century. Other pub names included the Rifle, the Mechanics, the Forge Hammer, the Shell, and the Hydraulic Crane. Exhibits include models of HMS Victoria, launched at Elswick shipyard in 1887, and Baikal, an ice-breaking ferry built at the Armstrong Mitchell yard at Low Walker to carry train carriages across Lake Baikal in Siberia. As well as Armstrong's No. 1 Gun – a revolutionary artillery piece designed after the Crimean War – there is a working model of the Tyne's Swing Bridge and one of the few surviving Armstrong Whitworth cars, dating from 1911. The Armstrong Whitworth brand became Armstrong Siddeley in 1919, when production moved from Newcastle to Coventry. The Armstrong Trail was devised to coincide with an exhibition to celebrate the bicentenary of William Armstrong's birth in November 2010. Called A Spark of Inspiration, the told the story of Armstrong's life and work in all its intriguing detail. As well as exploring Armstrong's personal history, including his marriage to Margaret Ramshaw and the building and evolution of Cragside, the exhibition covered the development of the Elswick Works, the great engineers' strike of 1871, the founding of the Elswick Mechanics' Institute and the College of Science (the forerunner to Newcastle University), and much more. The inventor's first hydraulic water-wheel was among the fascinating items on display. The exhibition also explained Armstrong's vital contribution to the understanding of renewable energy, especially his experiments with hydroelectricity and harnessing the power of the sun. Modern developments in the use of solar energy pioneered by Northumbria University were set against Armstrong's 19th-century predictions. 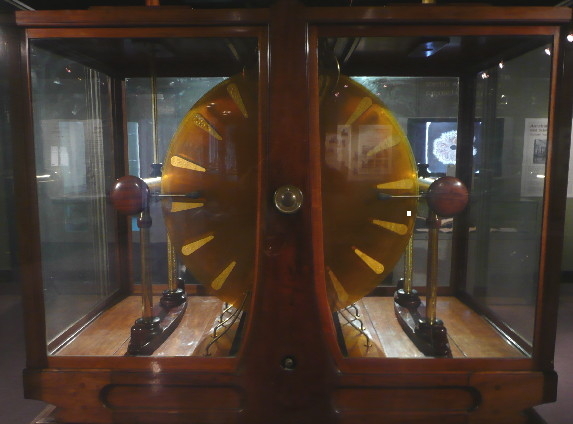 Dominating the exhibition, however, was a glass-encased example of a giant Wimshurst machine (see below), invented by James Wimshurst in the early 1880s. Once owned and used by William Armstrong, the machine has eight pairs of glass discs that rotate in opposite directions. The metal-foil strips on the discs produce an electric charge. The charge is led up to the conductors on top of the machine, where electrical sparks about a foot (30cm) long can be produced. Illustrations from experiments carried out with this machine were published by Armstrong in a beautiful two-volume book entitled Electric Movement in Air and Water. These astonishing images, reproduced on a nearby screen, were one of the most memorable elements of the Discovery exhibition.